Yes you are reading correctly! This is a post on my IMATS buys! IMATS London was in fact a month and a half ago and i have only got round to posting! I must admit i was ill for most of the weekend i was down in London so it kinda sucked some fun out of the time i was there and i didnt last that long at the show iteself thats why this post has been put off! I was extremely fortunate to actually receive a press pass for IMATs this year around. We arrived for around 8.30am after getting the tube to Wood Green and then a taxi to Alexandra palace. This year the room had actually moved so it was much bigger, with the same amount of stands so there was more room to move around. It wasnt too busy as soon as we arrived but filled up pretty quickly. I only bought a couple of things from two brands this year. I was much more savvy with my money this year than i was last year and had a mini list of a couple of things i wanted to buy. Illamasqua was on my list but there stand was just manic and i struggled to get in but they had some amazing bargains such as cream blushes for £5, foundation for £7.50 and pencils for £2, rumour has it that everything was 3 for £10 on the Sunday too! Again, i was gutted that MAC only had MAC Pro and without any discount unless you had a MAC Pro Card (Which i dont have). I have been using this brush on a daily basis recently and have really loved using it. The size and shape of the brush makes it really lovely to hold. 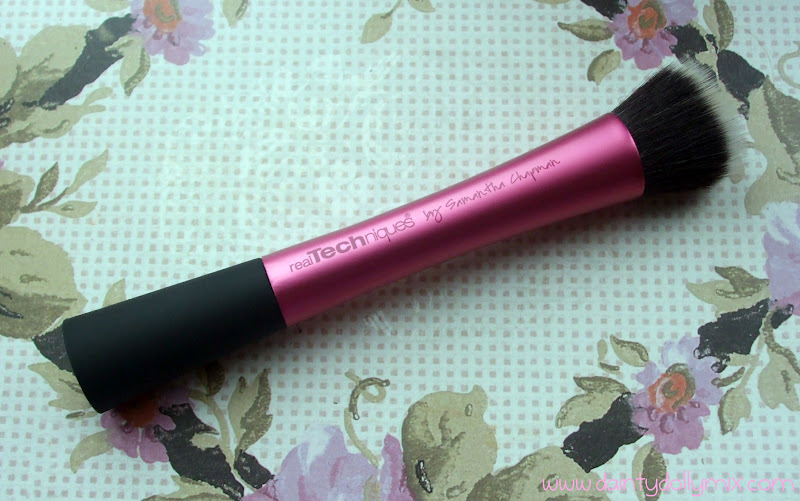 The bristles are synthetic and really soft and it has quite a large head so perfect for a dusting of powder. 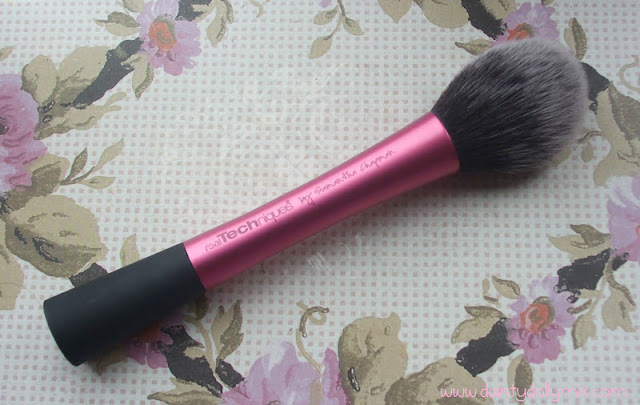 You can now pick this brush up in Boots for £10.99 but i managed to get it for £8.75 at IMATS. I really must admit, i'm not overly keen on this brush. The first time i used it paired with foundation and it just seemed to sink all the product into the bristles and didnt leave much left for my face. I will continue to use it and maybe try it with cream blush to see if i like it that way instead. This has had some rave reviews on other beauty blogs though. I managed to pick this up for £8.75 also. 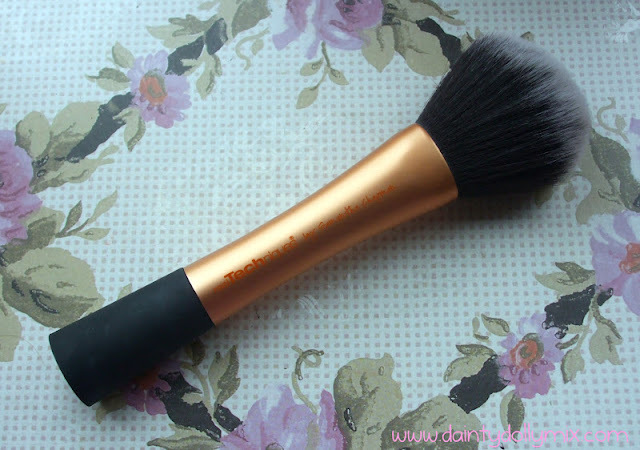 I really do love this brush but i do find it quite large for blush as it is huge so i use it for all over face and neck bronzing. It has a lovely tapered shape and again is synthetic and super soft. This brush cost around £8 and i think in boots it retails for £10. 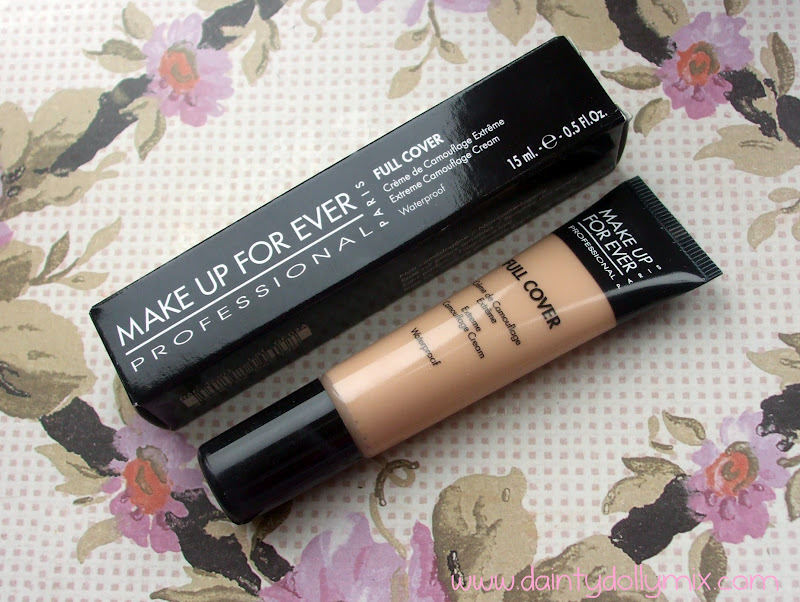 At first, i didnt really get on with this concealer. I would apply it to under both my eyes and found it really thick and heavy and quite hard to blend it. It also seemed to dry instantly too. I now apply it under each eye one at a time with my fingers to warm up the product ever so slightly, and work fast and it blends in lovely, looks really nice and covers my under eye circles. This cost around £13. So thats everything i bought! Not a massive haul by any means! Aside from Illamasqua, there wasnt really anything else on my want list but i am happy with the products i did pick up and still enjoy using them! Overall, I had a lovely weekend with some fab girls and saw some blogging beauties at the show! Did you go to IMATS this year? What goodies did you pick up? great products! 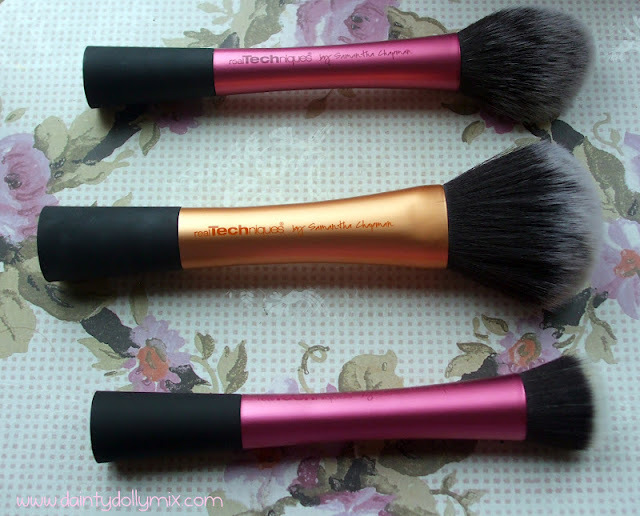 want to try out those brushes! Glad you finally shared. =) You were very restrained! I'd never be like that lol. i am keen to try real techniques brushes! Nice haul! I love Real Techniques Brushes!! Oh I love your picks. This has reminded me that I totally need to buy a new set of make up brushes! I also really need to get to the IMATS they look like they were amazing! And I've been wanting to try the MUFE concealer forever. After reading this post I think I'll pick one up. Really want to try the Real Techniques brushes, been using my trusty Sigma ones so i'd like to see how these compare. Thanks for the review! Love the new brushes!! They look really soft. I've moved my blog! Please check it out and if you could refollow my new blog A Whimsy Heart that would be awesome! !